I live where the adventure is. 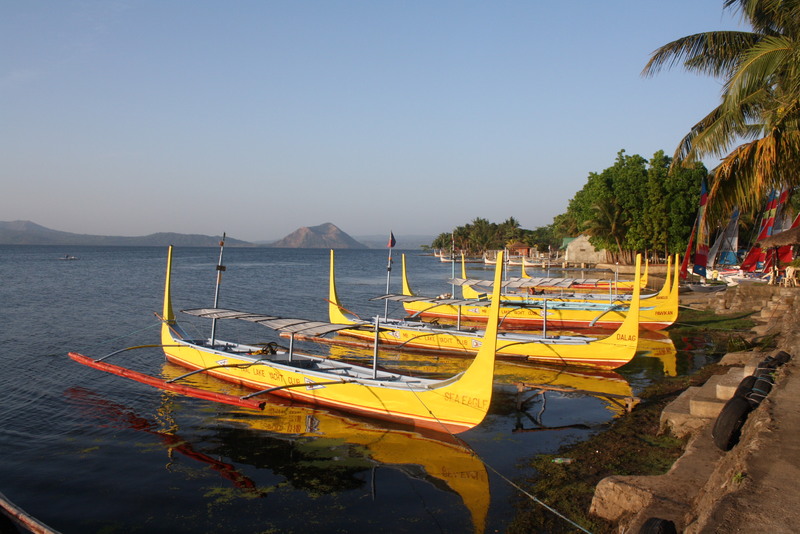 About an hour from where I stay is the town of Talisay, the perfect jump-off to Taal Volcano. I have always been fascinated by the beauty of the small volcano at sun rise. 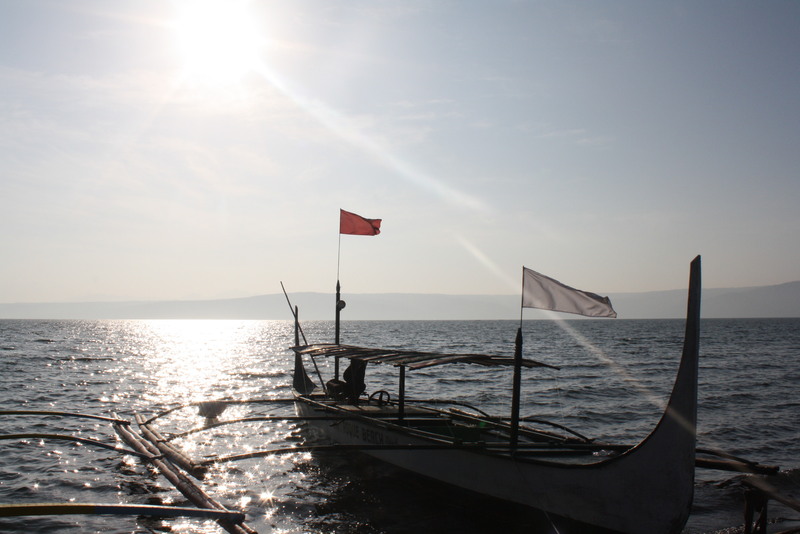 I arrived past 6AM at Taal Yacht Club to have a glimpse of the sunrise by the volcano by the island by the lake. I have a pre-arranged boat already so when I arrived, all was set for the adventure. We took a 45-minute boat ride going to the island. Taal Lake is calm in the morning. The weather was perfect. There were lots of birds in sight. But one disappointing fact is that the lake is full of fishpens. The boatman has to carefully maneuver his way so as not to be trapped by this fishpens. Upon arrival at the volcano island, we were required to register and pay the landing fee. There were horses (small horses) available for rent. 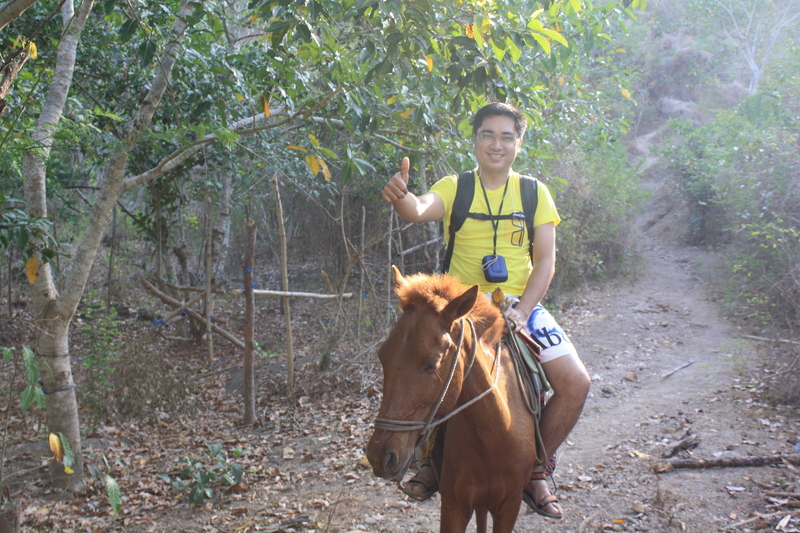 I opted to go horseback riding to have it a try. It is my first time riding a horse! 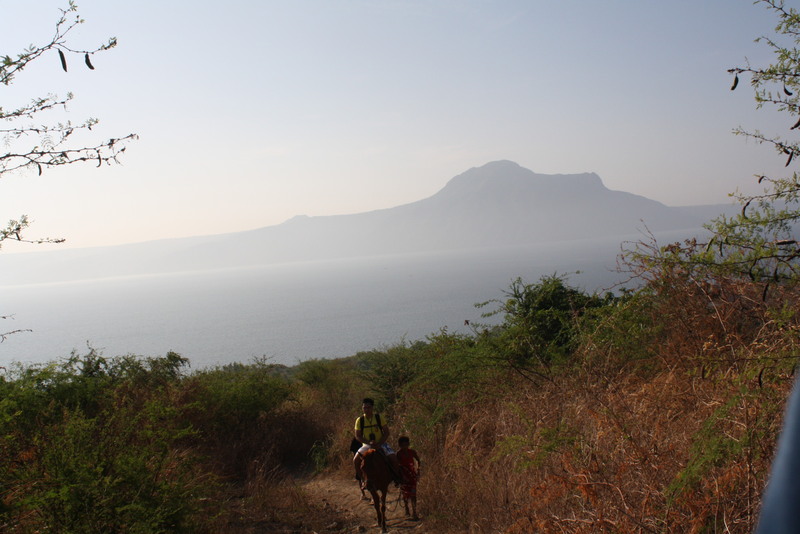 The way from the foot of the volcano island up the mountain is rugged, steep and sandy. It was a good choice to have a horse. 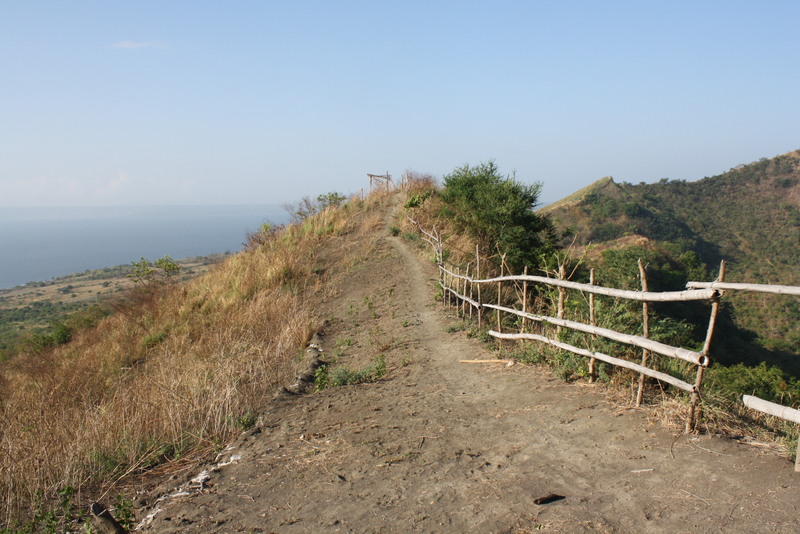 Halfway to the crater is the lone stop over/rest area made of nipa hut where some locals sell fresh coconut and soft drinks. 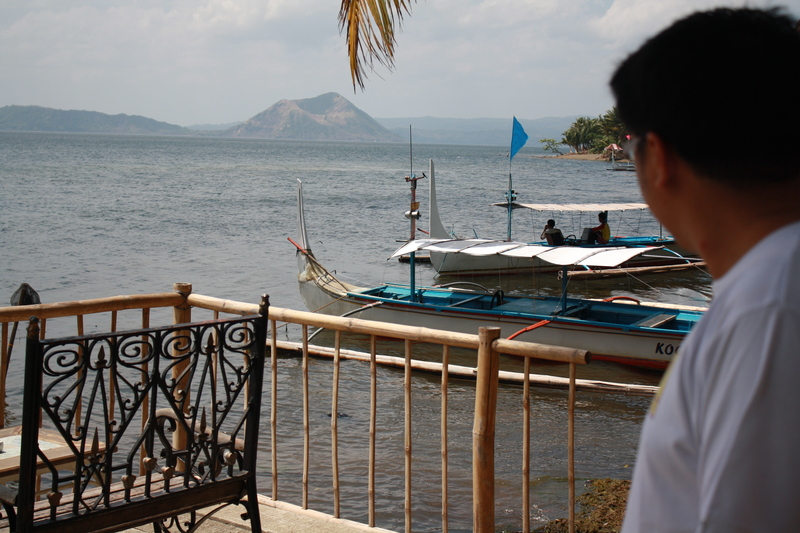 The view of Taal Lake and Taal Volcano is majestic from here. 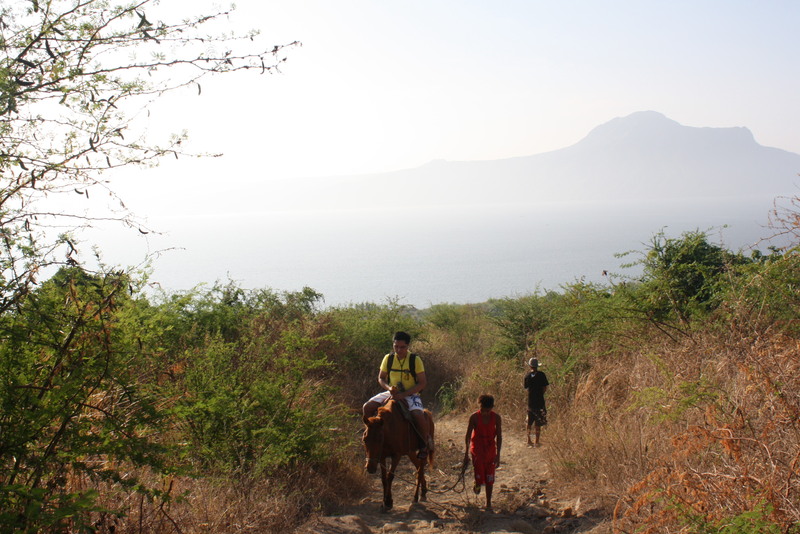 From the rest house, we need to go down to reach the crater. 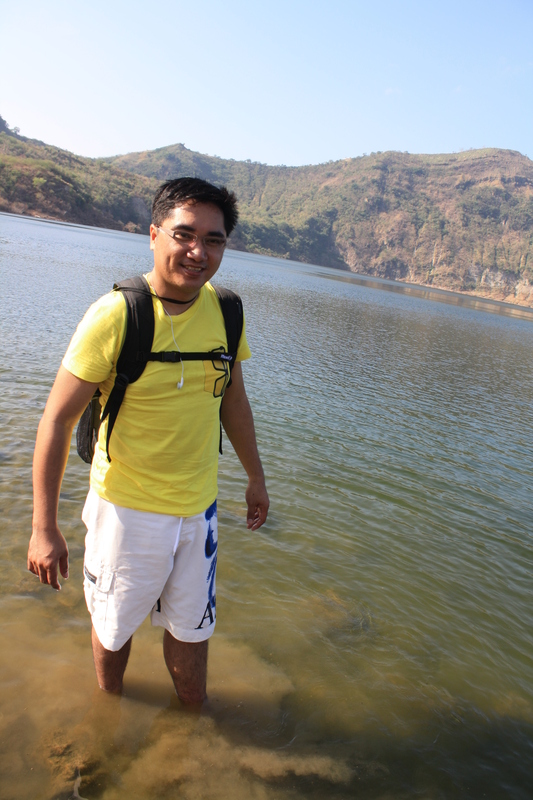 Taal Volcano is an active volcano below sea level. I did not choose to ride the horse going down as it looks very dangerous despite the advice by our local guide that it is perfectly safe riding on the horse. Walking for me is the better option. 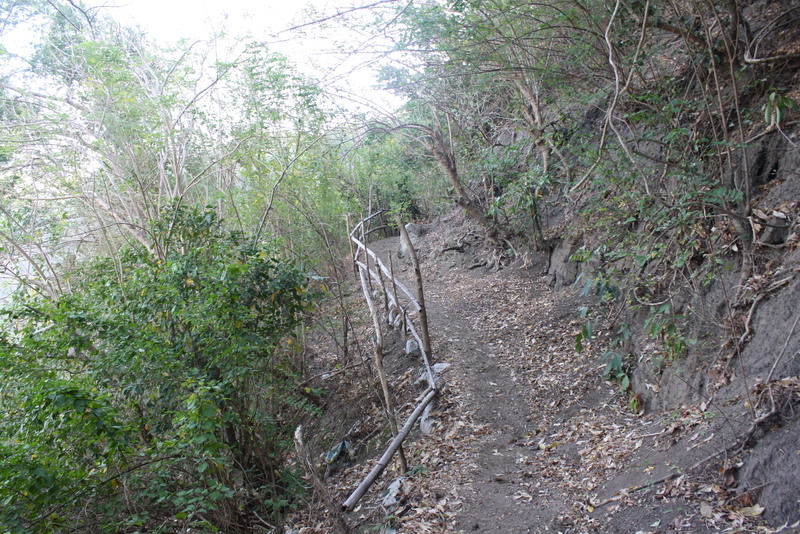 The path here is a little steeper than the previous path going to the rest house. 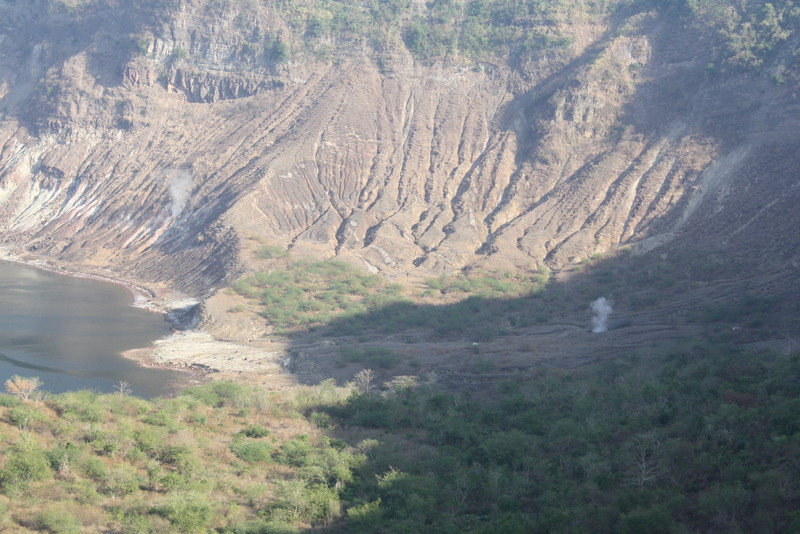 We finally reached the crater in about 40 minutes. 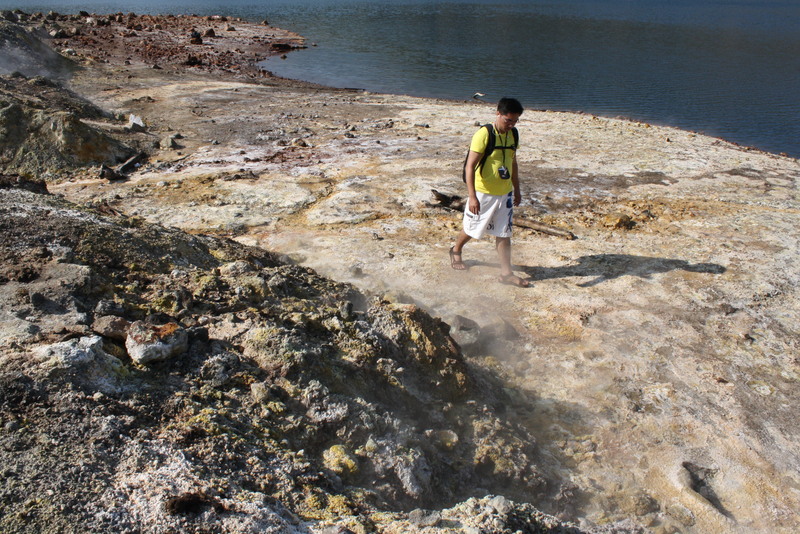 The smell of the sulfuric acid gives it a feel that we really are in the Crater Lake. The water of the lake is calm – perfectly calm – no single wave can be seen by the naked eye. I tried to deep my feet and my fingers to test the water. 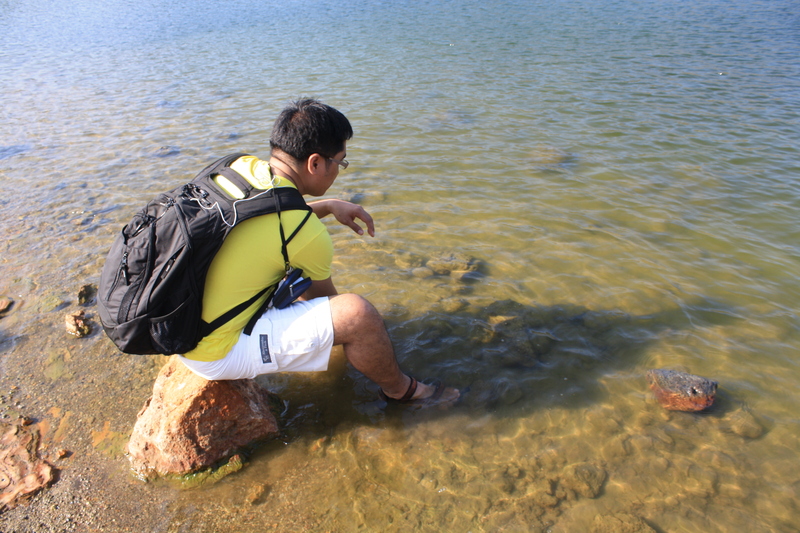 The lake water is lukewarm in some areas; to very hot in few inches away to very cold in few inches farther. I could not explain why the water is too hot, hot, lukewarm, cold and too cold in almost the same place. The sand in the Crater Lake though is dangerous as it tends to erode. 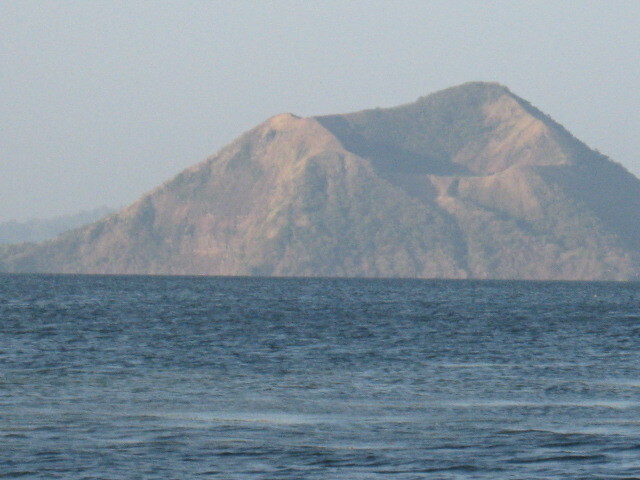 This is Taal Volcano – the world’s smallest active volcano located within an island within a lake. Swimming is not advisable but there were some tourists taking a bath using tabo (not swimming). According to them, the sulfuric composition of the water has medicinal value that could heal some skin illness (well, that thing I do not know). 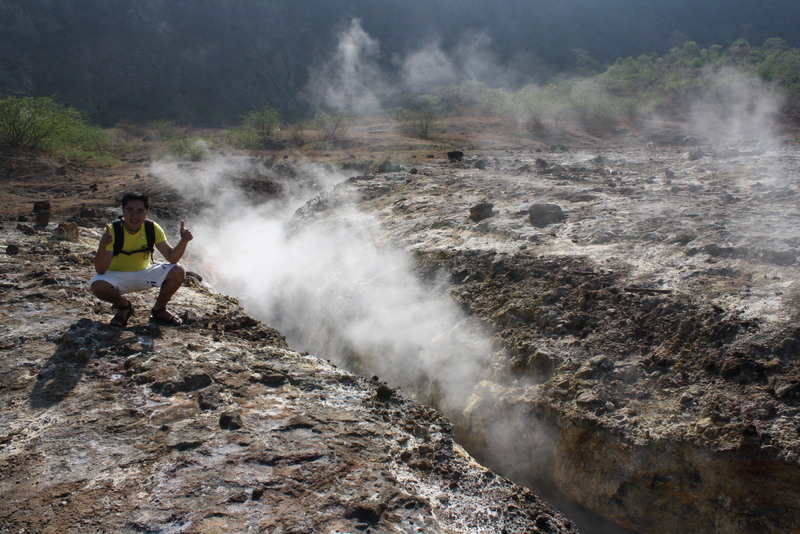 Then we roam around the area and we spotted several volcano exhaust and boiling mud pond. It’s a nice view but of course it’s extremely dangerous. We were brave though to stay close and take some pictures. At about lunch time, we headed back to the main island under the heat of the sun. 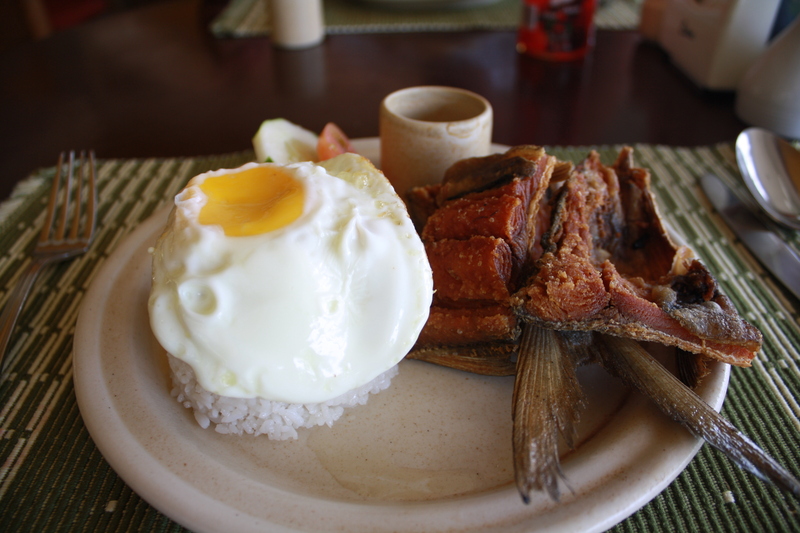 We had our lunch prepared at the Taal Yacht Club and headed to Tagaytay on our way back home. 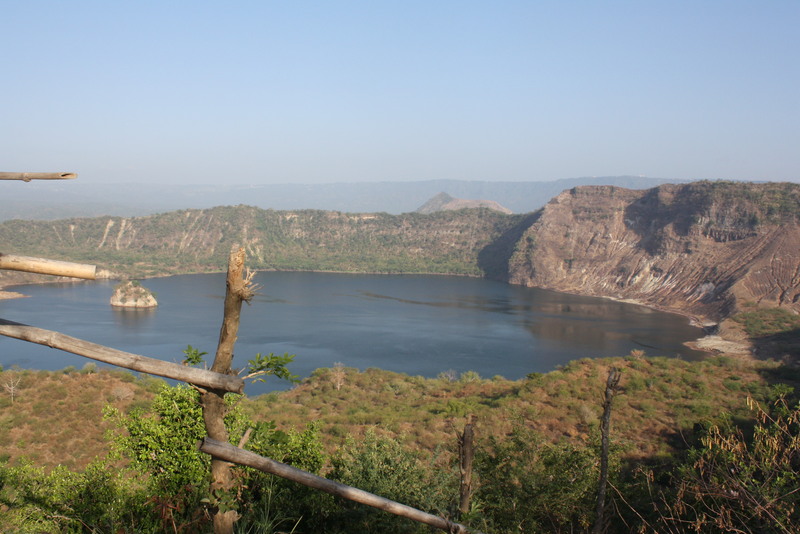 Taal Crater Trek is fun but not advisable for kids and Senior citizens or to anyone who do not like to take long walks under the heat of the sun.